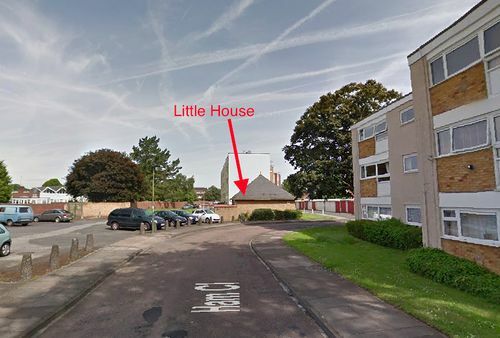 Little House is off Ham Close near to the junction of Sheridan Road and Ashburnham Road. It is the low building with a pointed roof in between tall blocks of flats (Hornby House and Hawkins House). There is a car park beside it and you may park there for free. Entrance to Little House is through the white painted metal gates from the car park - if the gate is open then someone is in, but during the winter the door will be closed to conserve heat - and it can be a bit stiff! Knock loudly and someone will push from the inside as well! Please note - there are two roads both called Ham Close, side by side (so if you can't find us you likely have the wrong Ham Close)! - The correct one will have a sign with "Ham Friends Club" pointing towards Little House on the western Ham Close from Ashburnham Road. Ashburnham Road (Stop W) - comes from Richmond or Kingston Station. Stops P & Q - comes from Morden, Raynes Park, or Kingston Station. This page was last modified on 6 September 2016, at 14:10.